See the legendary Irish rockers head to London as part of the iNNOCENCE + eXPERIENCE Tour. U2 Wembley Stadium tickets are now available to see the iconic Irish rockers take to the stage, as they showcase their brand new album at The O2 Arena. U2 O2 tickets will enable fans of the band to see the rock legends belting out loads of new tracks as they embark on The iNNOCENCE + eXPERIENCE Tour. U2 at The O2 Those lucky enough to get their hands on U2 O2 tickets will be able to see Bono and his band performing live in London as they bring their legendary live performance to London. As is expected from one of the biggest bands on the planet, U2 O2 tickets will fly off the shelves so be quick if you want to go. 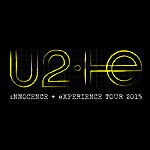 U2 The iNNOCENCE + eXPERIENCE Tour The iNNOCENCE + eXPERIENCE Tour will see U2 play indoor arenas for the first time in a decade with pairs of shows in each city including four nights at The O2 on Sunday 25th, Monday 26th, Thursday 29th and Friday 30th October as well as Monday 2nd and Tuesday 3rd November 2015. Be a part of the action and grab your U2 O2 tickets here now! Brand new U2 album The U2 London concerts follow the recent release of U2’s thirteenth studio album Songs Of Innocence, which was given to U2.com subscribers and gifted by Apple to over half a billion iTunes Music Store customers worldwide. To date, Songs of Innocence has been streamed 81m times and has been downloaded by 30m fans. Huge London concerts Ever since U2 first started performing live, they’ve gained an impressive reputation for putting on breathtaking concerts. 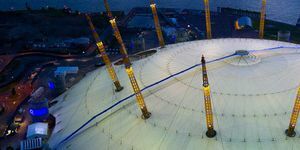 These U2 concerts at The O2 look set to be even bigger then ever, and will once again showcase just why U2 are widely regarded as one of the best live bands in the world. Pick up your U2 London tickets here now and head for The O2 this winter. U2 Wembley Stadium tickets are now available for the live concerts taking place on Sunday 25th, Monday 26th, Thursday 29th and Friday 30th October as well as Monday 2nd and Tuesday 3rd November 2015. For more information and to make a booking, click the BUY TICKETS button.